Richard Henry Eccleston was born on 2 Dec 1839 in Eastnor Terrace, Leamington, Warwickshire, England and died on 30 Sep 1922 in Jetsonville, Scottsdale at age 82. 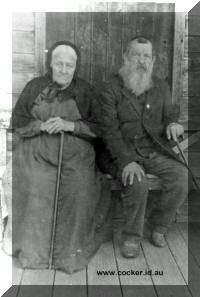 Richard married Fanny Chant Squibb on 24 May 1862 in Isle of Kent, England. Fanny was born on 6 Nov 1840 in Burton, Bradstock, Dorset, England and died on 11 Jan 1932 in Jetsonville, Scottsdale at age 91. Around 1870-71 Sergeant Richard Henry Eccleston moved to Launceston in the north of Van Diemen's Land, taking up residence in the Launceston Barracks. Richard marched his troops from the barracks, across the bridge and along the West Tamar, and return hence giving Eccleston Road its name. There died at Jetsonville [Scottsdale] on Saturday, Mr. R.H. Eccleston, one of the district's best known and highly respected residents, at the advanced age of eighty-four years. In May last year Mr. and Mrs Eccleston celebrated their diamond wedding and that event was made the occasion of pleasant social gatherings. The late Mr. Eccleston was born at Lamington, Warwick (England) on 2nd Dec. 1839 and his wife (Mrs Fanny Chant Eccleston), first saw the light of day in Burton, Bradstock, County Dorset on 6th Nov 1840. They were married in Wesley Chapel, Queensborough, on 24 May 1862, by the Rev. Boland, a Methodist minister. Two years later, the young couple came to Tasmania. Mr. Eccleston is an old soldier, and before his marriage was at a gunnery school at Shooberryness Essex (England) and on obtaining his first class certificate, was appointed instructor in gunnery, and sent to Tasmania in 1864. He was instructor of the artillery, Master Gunner of the whole island, which position he occupied for eight years. In 1872 he returned to England with his wife, and the next year was detailed for service in a fortress at Givalor, India, where he remained till 1875 and then went back to England. He continued in the Army, till March 1880, having served a total of twenty one years and then got his discharge. 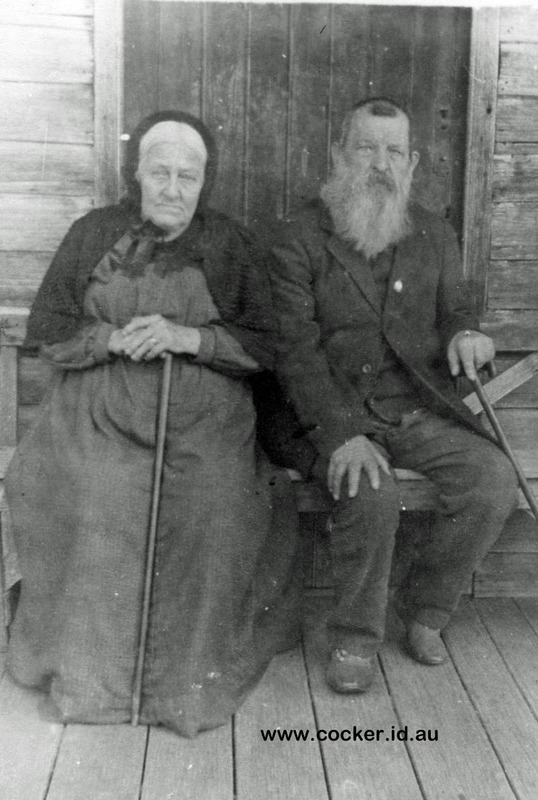 The couple returned to Tasmania in 1881 and resided at Jetsonville ever since. It is worthy of note that Mrs Eccleston accompanied her husband in all his travels. Mr. R. H. ECCLESTON, Orchardist, Jetsonville, near Scottsdale, was born in Warwickshire, England, in 1809, and was educated there. After leaving school, he served his time as a metal worker in the Medieval Arts School in Coventry. He joined the Royal Artillery in 1858, in which he was for twenty years a non-commissioned officer, eight years of which he was master gunner in Tasmania. Mr. Eccleston has served in India and at home. His total service amounted to twenty-one and a half years, and he is now in receipt of an Imperial military pension. After leaving the service he was ten years in Lancashire, nine of which were in one situation. He came to Tasmania in 1887, and was three years fishing at Bridport, after which he purchased a small property at Jetsonville, which was covered with ring-barked timber, and at the present time he has 600 fruit trees, which are gradu­ally bearing as they were planted, at the rate of 100 per year. The trees are espaliered, and 18 feet apart. Mr. Eccleston finds that sturmers, Adams' pearmains and Prince Alfreds seem to suit the land best out of eighty-five sorts, and of the pears, Williams, bon creton, Madame Cole, winter nelis, Keiifers high bred, etc The best peaches do not seem to flourish at all, and strawberries only in wet seasons. The appearance of Mr. Eccleston's orchards from the Bridport road strikes one as a series of avenues, and the writer on being shown over the orchard by Mr. Eccleston, was surprised at the quantity of apples grown on such small trees, no less than two and a half bushels being gathered from a tree 5 feet in height. Mr. Eccleston has been chairman of the Ringarooma Fruit Board for two years in succession. He has been a Mason for thirty-three years, and was in the Oddfellows in 1859 to 1889—thirty years—and passed through all the chairs.